Wow guys... to actually missed all the fun watching Ji Sung winning Daesang with all of you last night!! hehe.. So my (our) prediction last year came true.. Ji Sung won!! @lclarakl I remembered tat screen too well. Its one of my favourite screens. Even after tat screen I started to dragged my office chair to my meeting room and to my printer!! 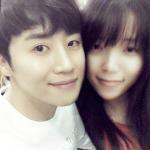 Hahaha...chingu ar I love yr new avatar. Kiss me! I love their speech, especially Jisung.. Happy New Year Mimideul! I'm still so thrilled that Ji Sung won the Deasang, that I could just go on and on about it. But I have to give a lot of love to Hwang Jung Eum and Park Seo Joon. As brilliant as Ji Sung's performance was, he could not have carried it off with out the great performances they gave us in this drama. This is one of my favorite pics for this drama. Yesterday, our Malaysian k drama fans community ( Asian Celebrities CARI Forum) has just released the results of 4th CARI K Drama Awards. 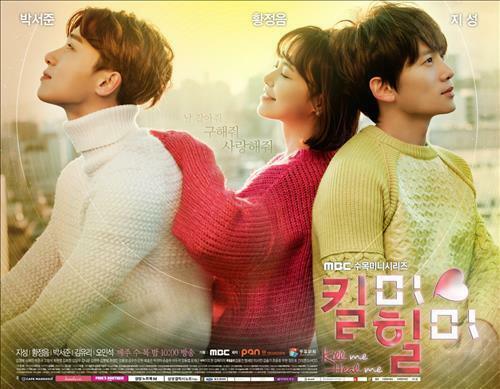 Kill Me Heal Me was coveted the Drama of The Year. The drama also picked up the Best Actor (Ji Sung) and Song of The Year (Auditory Hallucinations). SEOUL, April 19 (Yonhap) -- South Korean TV series "Kill Me, Heal Me" has won best drama at the World Fest-Houston International Film Festival, the television network that aired the show said Tuesday. The MBC show starring actor Ji Sung and actress Hwang Jeong-eum won the Grand Prize in the TV Series-Dramatic category this year, the broadcaster said. In "Kill Me, Heal Me," a first-year psychiatry resident (Hwang) falls in love with the heir (Ji) to a family-owned conglomerate. The heir suffers from dissociative personality disorder which is thought to have been caused by childhood trauma. "'Kill Me, Heal Me' is the first TV series in Asia that deals with dissociative personality disorder," Kim Jin-man, who produced the show, said in response to the award. "You find yourself grappling with the issue of child abuse, as you laugh and cry with the show's protagonists." Two other MBC shows were honored at the festival. "Treasure Ship of Joseon," a special TV documentary on the discovery of a Joseon Dynasty (1392-1910) ship from the ocean, took second place in the TV Special-Documentary category. "The King of Mask Singer," a singing competition program, captured third in Entertainment. WorldFest is the third competitive international film festival in North America after San Francisco and New York. It is also the oldest independent film and video festival in the world, according to its website. Congrats to the whole team of Kill me, heal me. Kill Me, Heal Me is being broadcasted here in the Philippines by GMA 7. It airs on Mondays-Thursdays. As a fan, I was a bit worried when they announced that they will be airing it. And then I was angry that they changed the title to Love Me, Heal Me! I was so frustated back then until I heard the reason why. The MTRCB (which is the agency that monitors movies, televison shows etc.) was against the 'Kill' title so GMA changed it to Love instead. I was also worried how they will dub the drama in Filipino without ruining JS and JE'm performances specially JS. With his 7 personalities, it is a very crucial thing to dub them. But then they proved me wrong, I so love the dubber!! He did justice with JS JE's dubber too is really good. I'll continue watching it when I have time. It's currently on episode 3 here. I always cringe too when I hear the word dub when it comes to a drama, I'm happy the dubber is doing Ji Sung justice. At least more people will be able to enjoy this drama! Thanks for sharing it always brings a smile to my face when I see a new post in this thread. Yes,chingu, am actually watching it with my family every night,the only problem is,there are so many cut scenes since episode one , those pivotal scenes which matters in building up the characters and also the plot were removed, when they can cut those flashbacks instead in latter episodes if they think the drama will be too long.I hope they will not cut those hilarious scenes with Yona and PSJ. Those are gold and also the kissing scenes of Segi -Ri Jin -Do Hyun which really captures the audience heart and for the reason of HJE-JS shippers to see this drama after Secret Love . Actor Ji Seong and actress Park Bo-yeong were picked by Hallyu fans. The results of the 4th DramaFever Awards have been announced. 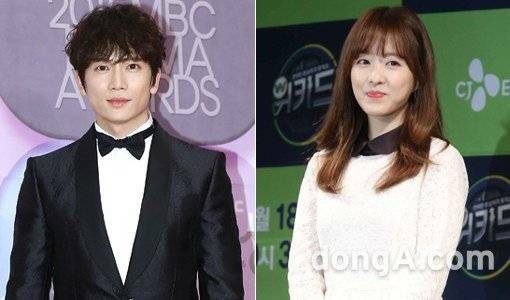 Ji Seong from ""Kill Me, Heal Me"" and Park Bo-yeong from "Oh! My Ghostess" have been chosen as the best Hallyu actor and best Hallyu actress. The best supporting actor and actress went to Choi Si-won from ""She Was Pretty"" and Kim Seul-gi-I from ""Oh My Ghostess"". Namgoong Min won the best evil character award for "Remember" and Park Bo-geom is the best rising star for ""Answer Me 1988"". DramaFever is a Hallyu drama streaming site with over 20 million viewers per day. This time, 1.9 million votes took place. Park Bo-yeong in "Oh My Ghostess"
Ji Seong in "Kill Me, Heal Me"
Choi Si-won in "She Was Pretty"
Kim Seul-gi-I in "Oh My Ghostess"
Hyeri and Park Bo-geom in "Answer Me 1988"
Kim Jong-kook & Lee Gwang-soo in "Running Man"
Park Bo-geom in "Answer Me 1988"
Ji Chang-wook & Park Min-yeong in "Healer"
Namgoong Min in "The Girl Who Sees Smells"
"Scholar Who Walks the Night"
Ko Joon-hee & Hwang Jeong-eum in "She Was Pretty"
Woohoo! Congatulations to Ji Sung for winning another award! He truly deserved it. I really love this drama!!! Love the chemistry between Ji Sung and Hwang Jung Eum (plus Park Seo Joon). Though I like Lee Seung Gi but fortunately the role of Do Hyun was played by Ji Sung. I didn't expect that he could portrays all the characters like someone else played them. It feels that each character is played by different person. As Cha Do Hyun, he was so sweet and nice. As Shin Se Gi, he was wild and mad. As Ferry Park, he was funny. As Yo Sub, he was pity. As Yo Na, he (she) was hillarious. Nana and Mr. X were cute. I love all the characters. Ji Sung really did a great job. Hwang Jung Eum? She's the queen of romcom, I bet. I like her since She Was Pretty then I found that she was a really great actress through Kill Me Heal Me. This drama keep making me crying, especially the past relationship between Do Hyun and Ri Jin. I love Shin Se Gi and when he disappeared, I cried a lot. The scene which Ri Jin gave him a farewell gift is so heartbreaking. I think after sometime I will miss this drama and rewatch it. It's too good to be missed. Hi guys! How are you here? I'm flying to Korea next year and planning to visit KMHM's filming sites. Do you guys know where they shoot those excellent scenes?